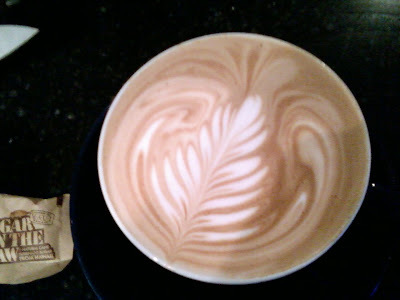 Blue State Coffee Latte Throwdowns: Week 2 winning latte! Also congrats to Jess Almendarez who won the random prize of the week- a BSC stainless steam water bottle! The contest for week 3 has started. All latte art pictures must include a tamper this week- get pouring!